Information about U.S. air strikes being conducted in Syria against the Islamic State (ISIS) and other groups has so far largely been filtered through the Pentagon and the White House, as the ability to independently assess claims about their effectiveness is prevented by the dangerous on-the-ground environment. Much about the campaign’s true character remains unknown. 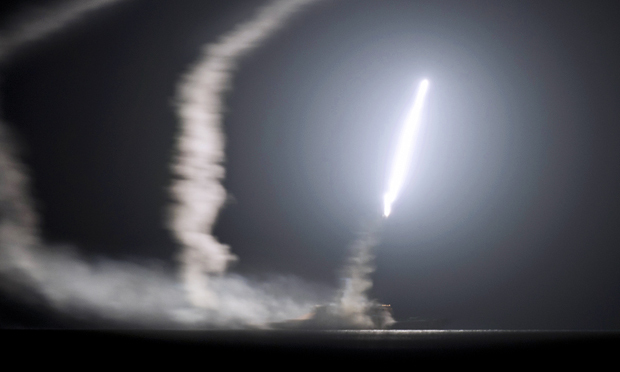 It remains an empirical question, then, how effective the strikes will ultimately be in curbing the activities of ISIS — and one that likely cannot be answered in a 24-hour news cycle, or even days or weeks. Just a year ago, when air strikes were being contemplated against the Assad regime in Syria, many analysts were warning that any intervention could lead to a long-run escalation by the groups fighting. Counterinsurgency experts have long pointed out that short-term gains through air strikes, such as the killing of leaders and the destruction of equipment, weapons and safehouses, can be offset by negative ripples through local populations, who may be pushed further into collaboration with insurgents. Impressive aerial images of destroyed vehicles and buildings, experts say, can mask more important changes in attitudes among local populations. Case studies illustrate just how this happens: Noted researcher and military thinker David J. Kilkullen has highlighted the problem of the “accidental guerrilla syndrome,” whereby the use of large-scale kinetic force by outside militaries can drive otherwise neutral locals to fight against them. Further, systematic research in places such as Afghanistan is revealing how populations are affected by a sense of victimization by outside forces. This dynamic has been at the heart of a longstanding debate over the so-called “hearts and minds” question. It remains a key question, for example, with regard to the use of drones, or unmanned aerial vehicles (UAVs), in Pakistan, where experts continue to debate whether the program has produced positive results from a strategic point of view. Analysis of media coverage of the Obama administration’s drone warfare program shows that it took years before core questions about efficacy and legality (and morality, especially as it relates to civilian casualties) came to the surface and were discussed and analyzed in a more full and honest way. Jaeger, David; Siddique, Zahra. CUNY and Institute for the Study of Labor (Germany), December 2011. Boyle, Michael J. International Affairs, Volume 89, Issue 1, January 2013. doi: 10.1111/1468-2346.12002. Byman, Daniel L.; Waxman, Matthew C. International Security, Spring 2000, Vol. 24, No. 4. Kocher, Matthew Adam; Pepinsky, Thomas B.; Kalyvas, Stathis N. American Journal of Political Science, Volume 55, Issue 2, April 2011. doi: 10.1111/j.1540-5907.2010.00498.x. Condra, Luke N.; Shapiro, Jacob N. American Journal of Political Science, Volume 56, Issue 1, January 2012. doi: 10.1111/j.1540-5907.2011.00542.x. Kilkullen, David J. From The Accidental Guerrilla, Chapter 4, Oxford University Press, 2009. Published as part of the Brookings Counterinsurgency and Pakistan Paper Series, No. 3. Dadkhah, Lara M. Small Wars Journal, Dec. 30, 2008. Kahl, Colin H. International Security, Summer 2007, Vol. 32, No. 1. Pape, Robert A. Foreign Affairs, March/April 2004. Biddle, Stephen. International Security, Winter 2005/06, Volume 30, Issue 3. Steflja, Izabela; Darden, Jessica Trisko. Human Rights Review, December 2013, Volume 14, Issue 4. Steiner, Barry H. Contemporary Security Policy, Volume 33, Issue 2, 2012. doi: 10.1080/13523260.2012.693797. Barrie, Douglas. Survival: Global Politics and Strategy, Vol. 54, No. 6, December 2012-January 2013. doi: 10.1080/00396338.2012.749629.